MICHAEL A. VENTRELLA: I’m pleased to be interviewing author Philippa Ballantine today! New Zealand born fantasy writer and podcaster Philippa (Pip) Ballantine is the author of the “Books of the Order” and the “Shifted World” series. She is also the co-author with her husband Tee Morris of the “Ministry of Peculiar Occurrences” novels. 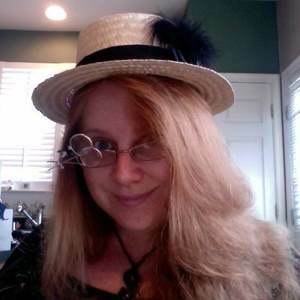 Her awards include an Airship, a Parsec, the Steampunk Chronicle Reader’s Choice, and a Sir Julius Vogel. She currently resides in Manassas, Virginia with her husband, daughter, and a furry clowder of cats. Her web page is here and her twitter page is here! Philippa, you have two new books coming out shortly. 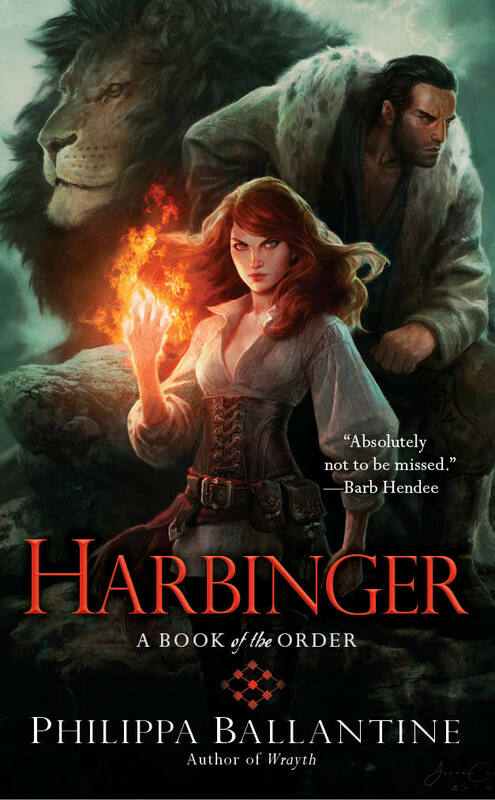 Let’s talk about HARBINGER first, which is the fourth in the “Book of the Order” series. Tell us about this. PHILIPPA BALLANTINE: HARBINGER is the culmination of the previous three books, and I am actually rather sad to be leaving the world. Sorcha, Merrick and Raed have all been driven to literally the ends of the world. They discover that the Circle of Stars Order have plans to break the gap between the Otherside and the realm of humanity. Without their runes, Sorcha and her Deacons must take dangerous step to save their world, and all the time the Rossin, the great pard, is planning his own escape. 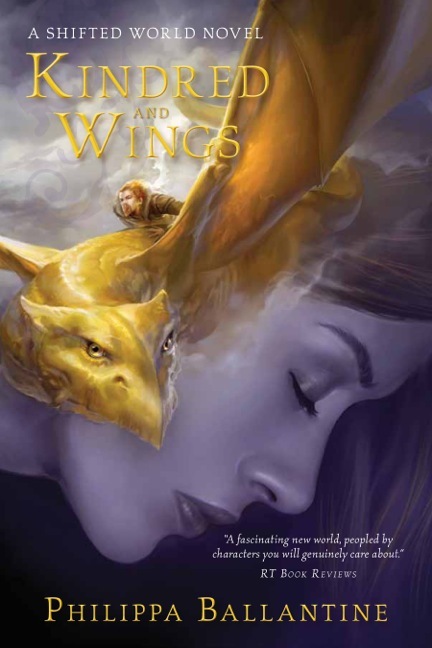 VENTRELLA: Then, a few weeks later, KINDRED AND WINGS, the second book in the “Shifted World” series is released. What is this series about? BALLANTINE: The Shifted World series is all about chaos, and how people deal with it. In a world that cannot be trusted, with people warring amongst themselves, the endgame is coming quickly. The dragon Wahirangi and Finn the storyteller search for answers, while Talyn must decide her role in the world; destroyer or savior. Secrets will be revealed, time travelled through, and dragons will battle. VENTRELLA: With your husband Tee Morris, you’ve also created the successful steampunk series “Ministry of Peculiar Occurrences”. How did that creative process begin? BALLANTINE: It actually began with a creative idea from Tee that was supposed to be set in current days. Then I wanted to experiment with a podcast for pay, so I suggested with do a prequel novel set in Victorian times. There was early interest from our agent in the series as novels, so the podcast idea morphed in that direction. It was a strange and delightfully circuitous path to publication! BALLANTINE: We do a lot of brain storming of where we want to go, and sketch out a series of scenes. Tee does the Wellington scenes, I do Eliza’s, and we put our hands up for the other characters. Then once it is written, we swap and edit each other. We’ve got a pretty good grasp now, after three books, on how we do these things. It was tricky at first though! VENTRELLA: The next Peculiar Occurrences book is scheduled to be out in the fall – that’s three in one year. You’ve been busy! How do you do it? BALLANTINE: Lots and lots of marking calendars, and sharing them with Tee. I’ve also got better at prioritizing which projects come before others. VENTRELLA: What is it about steampunk that interests you? BALLANTINE: I love the creativity of the genre, and the heady mix of history. I’ve messed around with history before, but steampunk gives that freedom wings. Also the aesthetics are beautiful, and airships are just plain cool. 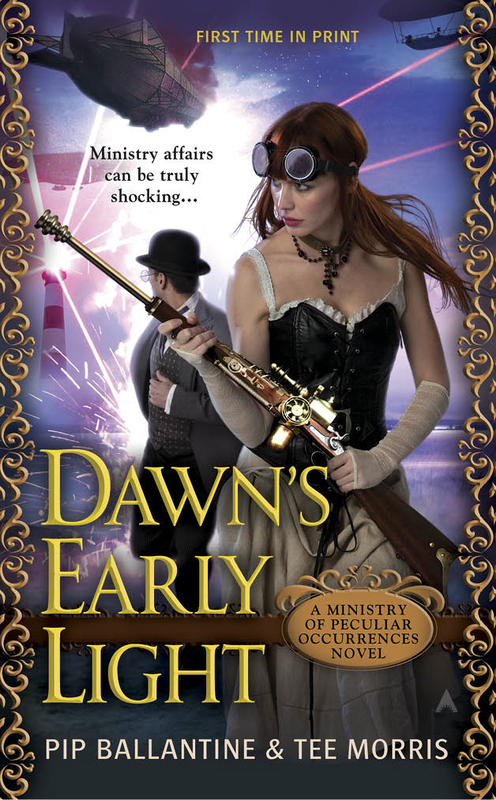 VENTRELLA: What makes your steampunk novels stand out among the others? BALLANTINE: Tee and I have fun with our steampunk, but I think the real difference about our steampunk is the scope of the world view. We’ve not only done novels, but also short stories and podcasts, which have taken our readers and listeners all over the globe. Also, people seem to love our characters. BALLANTINE: I moved from New Zealand to marry Tee, and I don’t regret it. One day we’ll probably move back to live, but right now with the writing I have the chance to go to New York to meet publishers, and the convention circuit in America provides a lot more opportunities to meet readers. 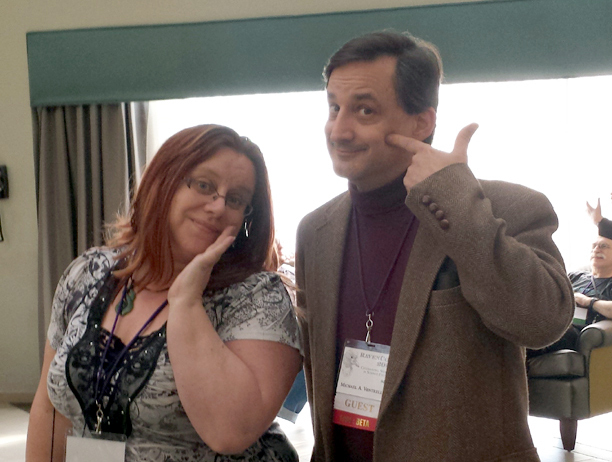 VENTRELLA: Speaking of conventions (where we’ve met numerous times), … do you find that is important for authors to do? What are the benefits of doing so? BALLANTINE: I don’t know what the Return on Investment would be in monetary terms, but in terms of meeting fellow writers, and readers, it really can’t be measured. Writing is a solitary profession in most cases, and those kind of interactions are really needed. Tee and I have met readers who have cos-played our characters, people who have jumped up and down with delight (which I am still stunned about), and made innumerable contacts with other writers. There has to be a balance however, because you also have to write, but I would encourage new writers to try out at least a small local con. VENTRELLA: What is it about science fiction and fantasy that attracts you? BALLANTINE: The sheer scope of it. The speculative fiction genre imposes no limits on the imagination, and that is something that no other genre can offer. If you can imagine it, you can write it. 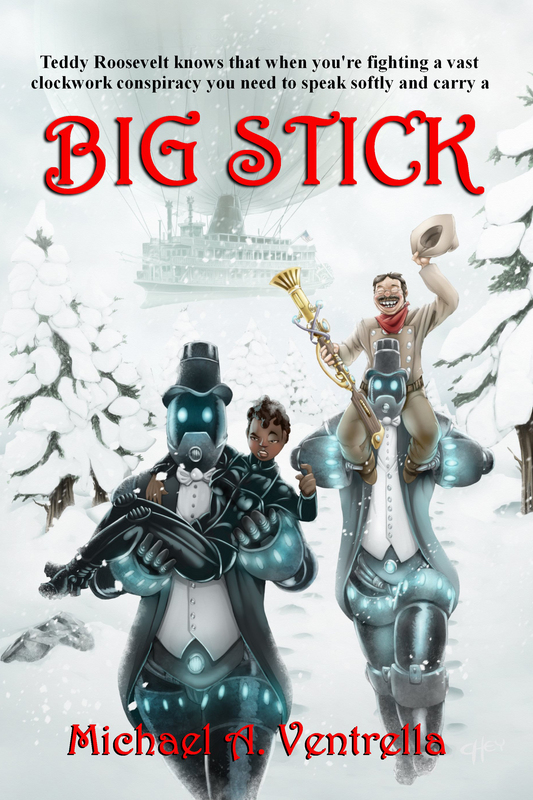 From dragons to airships, from cyber-intelligences to minds of clockwork, all are possible. BALLANTINE: There are good agents out there. Laurie McLean of Foreword Literary is my agent, but also my partner in this business. I know that I wouldn’t have gotten where I am today without her assistance and guidance. So I think if you can find an agent like her that wants to be a true partner, then you should go that route. However, if you cannot, then a small publishing house is a great way to start, you can learn so much about editing, marketing, and the process of putting a book together. If that route doesn’t work, then I don’t think self-publishing is a bad idea at all. The only caveat I would add is make sure you produce the best professional product possible. Hire editors and cover artists. If you take short cuts, don’t expect to get results. VENTRELLA: Do you think the SFWA and other organizations will eventually have to consider small publishing houses and self-publishing? BALLANTINE: I was actually on a panel recently where I heard that it is not beyond the realms of possibility that SFWA might go that way. It’s just a matter of working out how they decide on membership levels. Like the publishing industry trade organizations need to be flexible and move with the changing landscape. VENTRELLA: What book have you read recently that you loved? BALLANTINE: I was lucky enough to get a chance to blurb A STUDY IN SILKS by Emma Jane Holloway. It’s not coming out until September this year, but is worth the wait! Great interview! I need to read some of PB’s novels! And I also want to attend some sci-fi/fantasy cons next year.